This unit is sure to take you to paradise. 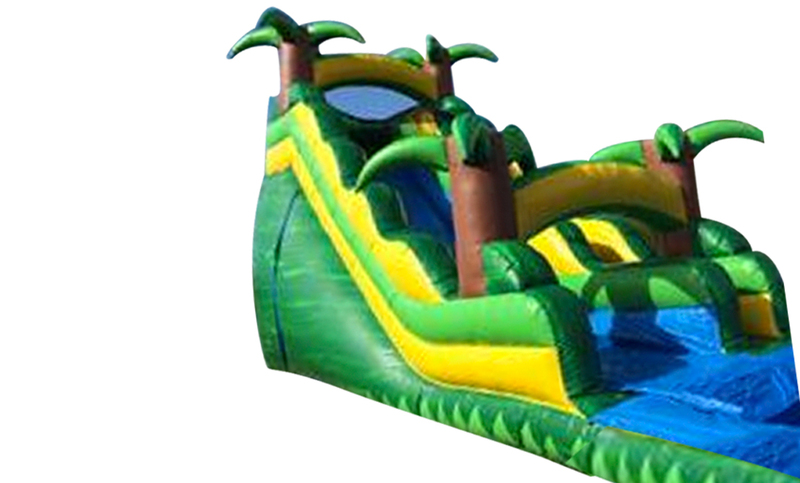 Its 18 feet tall of tropical, paradise-themed fun! Slide down this great unit and land into the waters of paradise!